Medium Project 8-2, Family Room » Roger Perron Inc. 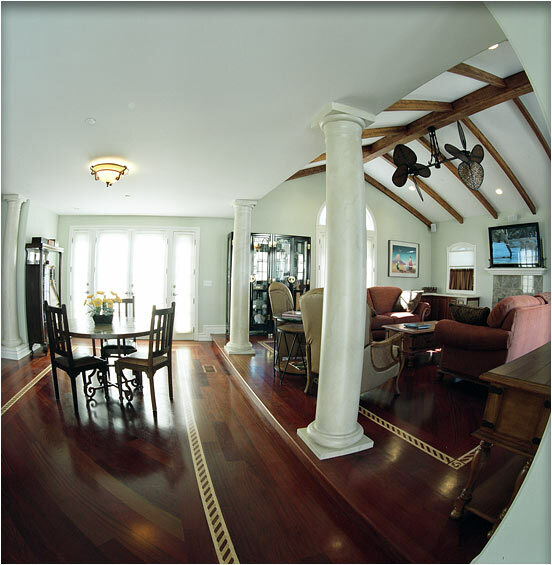 The family room remodel and Fanimation fan along with the cherry floors create a homelike feeling that is very much appreciated by the owners. The ease of viewing of the TV from any location and distance provides for great entertainment. Architectural design for this home remodel in Redondo Beach, designed by Antonino Bruno, architect, and Roger Perron, design-build contractor.